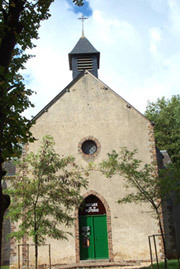 The Museum of Pottery has been set up in the centre of the village in the old chapel. 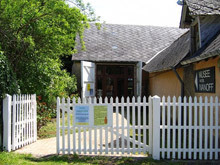 Here you can discover a remarkable range of traditional pottery from the 18th, 19th and 20th centuries, as well as a rich collection of pottery figures from the famous TALBOT dynasty. Musée Vassil IvanoffVassil Ivanoff discovered clay and the art of fire when he moved to La Borne in (???). He threw himself into exploring all the mysteries of ceramics and contributed to its rebirth. He is known for his ‘ox blood’ red glazes. Located 10km from La Borne. Following a narrow country lane you will come across this fine, massive building nestling in the valley and rising up out of the greenery. Located 13 km from La Borne in the heart of the vineyards, the Château of Menetou-Salon will transport you into the world of Proust and the century of the Romantics. This castle of the king’s silversmith Jacques Cœur, is built in the neo-gothic style and decorated with the architecture of Ernest Sanson. 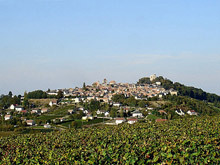 Located 23 km from La Borne, this village sits atop its rocky outcrop at 312 metres altitude overlooking the splendid view of the Loire Valley. 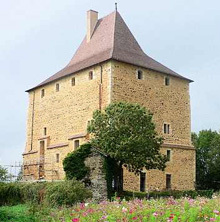 This is a unique location for a visit to the wine cellars and to enjoy tasting the famous wine of Sancerre.